Marquem já nas vossas agendas. Os FM estão de volta a Portugal no próximo dia 13 de Novembro. Os FM nasceram no verão de 1984 em Londres, juntando os ex-Samson Mary Goldsworthy (Baixo) e Pete Jupp (Bateria) aos irmãos Overland – o vocalista e guitarrista Steve e o Guitarrista Chris Orlanda, e ainda o teclista Philip Manchester. Em dezembro de 84 com apenas 6 temas garantiram um contrato com a CBS e um lugar na tournée de Meat Loaf pela Alemanha. Em 1986 o primeiro álbum “Indiscreet” é editado, e correm a Europa junto a nomes como Tina Turner, Foreigner, Gary Moore, Status Quo, Magnum, REO Speedwagon e são banda de suporte da tournée Slippery When Wet dos Bon Jovi pelo Reino Unido. Ainda editam o single “Let Love Be The Leader”, aquela que é a música mais reconhecida dos FM pelo publico português. Em 1989 sai o segundo trabalho, “Tough It Out,” que contou com a ajuda do famoso compositor Desmond Child, e o produtor Neil Kernon (Dokken, Queensryche), que inclui hits como “Someday” e “Feels Like Love”. Seguiu-se a saída do guitarrista Chris Overland, que foi substituído por Andy Barnett na gravação de “Takin’ It To The Streets” em 1991, e “Aphrodisiac” de 1992, e após a edição de “Dead Man Shoes” em 1995, os FM separaram-se. 2007 foi o ano que marcou o regresso dos FM como cabeça de cartaz do festival Firefest. O sucesso desta atuação fez com que a banda decidisse voltar ao ativo, e em 2009 voltaram ao Firefest e editaram um single novo “Wildside” e mais tarde o álbum “Metropolis” em 2010, muito bem aceite pela critica e pela BBC Radio 2, que lhes valeu um lugar no palco principal no festival Download. Em 2011 mais uma tournée Europeia com os Thin Lizzy, Foreigner e Journey, bem como uma passagem por Portugal a abrir para os D.A.D. Em 2012 reeditam “Indiscreet”, desta vez incluindo o clássico “Let Love Be The Leader”, e os novos álbuns Rockville I e II são editados em 2013, ano em que fizeram as primeiras partes de bandas como os Toto, Rick Springfield, Whitesnake, Journey e Black Star Riders . Para 2014 os FM anunciaram uma tournée com os Foreigner e a edição do álbum Futurama, bem como a Futurama World Tour, que incluiu uma passagem por Lisboa. Os FM regressam agora a Portugal para celebrar os 30 anos do seu primeiro ábum “Indiscreet”. Vem acompanhados pela banda de culto de AOR, Romeo´s Daughter. São motivos mais que suficientes para outra grande noite no RCA Club. FM was formed in the summer of 1984 in London. Comprising the ex-Samson pair of bassist Merv Goldsworthy and drummer Pete Jupp, the Overland brothers – vocalist/guitarist Steve and lead guitarist Chris Overland (both formerly of Wildlife) and keyboardist Philip Manchester (also known as Didge Digital), the band initially wrote six songs which by December 1984 had helped them secure a recording contract with the CBS/Portrait label. That same month the band set off on tour in Germany with Meat Loaf. The first UK public appearance of FM (not to be confused with the Canadian band of the same name) was on Valentine’s Day in 1985 at London’s legendary Marquee Club. The debut album, Indiscreet followed and their debut single “Frozen Heart” was heard in many venues during 1986. FM hit the road in Europe supporting Tina Turner, Foreigner, Gary Moore, Status Quo and Magnum, also opening for REO Speedwagon at London’s Hammersmith Odeon. At the year’s end they accepted a spot with Bon Jovi on the UK leg of their Slippery When Wet Tour. When CBS folded the Portrait label, FM switched to Epic. The Overland brothers went to the United States to write with Desmond Child, returning with the hard rock anthem “Bad Luck”. Queensrÿche and Dokken producer Neil Kernon was engaged to oversee 1989’s Tough It Out. To promote Tough It Out, the band set out on a 42 date UK tour that saw them returning to the Hammersmith Odeon. Soon afterwards, Chris Overland decided to leave FM, his final performance taking place at the Town & Country Club. In his place, FM recruited Andy Barnett, a guitarist who had already been in a prototype line-up of the group, and had a co-writing credit for the Indiscreet song, “That Girl,” which was later covered by Iron Maiden as a B-Side. His debut with the group was 1991’s Takin’ It To The Streets. FM moved to another record label, Music For Nations, and Didge Digital left in late 1991. A cover version of Marvin Gaye’s “I Heard It Through the Grapevine” was not a hit, but was followed by their next album, Aphrodisiac. They undertook a string of acoustic concerts in the winter of 1992. With Europe and the Far East markets opening up for FM, a full-time keyboard appointment was made with Jem Davis (former Tobruk and UFO), joining the band. The arrangement was short-lived. After the release of Dead Man’s Shoes in 1995, the band split up. At Nottingham’s Rock City venue on 27 October 2007 however, FM played together again in public for the first time in twelve years, headlining the sold-out Firefest festival. The reaction the band received to this one-off appearance led to the swift decision to make the reunion permanent. Guitarist Andy Barnett could not commit to long-term plans however and the band were disappointed to accept his resignation. At Steve Overland’s suggestion Jim Kirkpatrick was recruited and he made his live debut with FM at a low-key show at Winstanley College (Wigan, UK) on 19 March 2009, followed by a more public appearance when FM headlined Firefest for a second time on October 2009. To coincide with this festival appearance FM released the new single “Wildside” as part of an EP containing new recordings and live tracks. For the first time new recruit Jim Kirkpatrick was featured on record. The single was a taster of forthcoming new album, Metropolis. Metropolis, FM’s first new album since Dead Man’s Shoes in 1995, was showcased at a sell-out launch party at The Roadhouse, Covent Garden, London in February 2010 and was released on 31 May 2010. Produced by the band, Metropolis met with critical acclaim and the two singles from the album – “Hollow” (released 17 May 2010) and “Bring Back Yesterday” (released 7 September 2010) each spent a month on the playlist at BBC Radio 2 and were playlisted on many other radio stations. FM toured all over the UK in support of the album throughout 2010. Their live schedule included a set on the main stage at Download Festival as a late replacement for Ratt in June 2010 and a set on the main stage at Hard Rock Hell IV at Prestatyn in December. December also saw the return of an FM tradition with a ‘Christmas Party’ show at Islington Academy London. FM started 2011 with a show at London’s Hammersmith Apollo on 22 January with Thin Lizzy. The rest of the year saw the band return to many overseas strongholds of years gone by including headline shows in the Netherlands and Spain (their first ever live concert in that country); a show with D-A-D in Portugal; dates with Journey and Foreigner in Germany, Dublin and Belfast and appearances at major festivals such as Graspop in Belgium and Sweden Rock. They were also invited back to play at Download Festival again. In January 2012 FM headlined the Sunday night Rock Stage at the Great British Rock & Blues Festival in Skegness and during March they staged three special concerts in Glasgow, Manchester and London to celebrate the 25th Anniversary of the release of their début album Indiscreet. These shows saw FM play Indiscreet live in its entirety for the first time ever as part of a full show and were commemorated by the release of the live in concert DVD Indiscreet 25 Live on 1 April 2013, filmed at the Manchester and London shows. 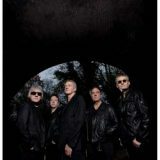 In mid-August 2012 FM performed as Special Guests of Thin Lizzy at shows in Carlisle and Belsonic 2012 in Belfast and followed this with the Special Guest slot on Thin Lizzy’s UK tour in November/December 2012 alongside The Treatment. The nine-track mini-album Only Foolin’ EP was released 26 November 2012 featuring a mix of new studio recordings and live tracks recorded at FM’s “Indiscreet 25Live” shows earlier in the year. In November 2012 FM announced their forthcoming seventh studio album would be released March 2013 with the title Rockville by launching a PledgeMusic campaign. Via PledgeMusic fans could pre-order the album along with pledging for other items such as a two-CD package to include Rockville II (a second CD of nine new tracks and a new recording of the song “High”, originally released by Steve Overland and Pete Jupp under the SO! banner on the album Brass Monkey), Steve Overland’s microphone, various items autographed by the band and VIP concert access. FM held a press launch for Rockville at London O2 Academy 2 Islington on 6 March 2013 which was also attended by Pledgers via the band’s PledgeMusic campaign. Following a playback of the album in full the band played a half-hour set of some of their crowd-pleasing anthems before a playback of Rockville II. Rockville was released 11 March 2013 and debuted on the Official UK Rock Chart at #6, followed on 25 March by the release of Rockville II which had earned an official release of its own due to the amount of interest generated by its inclusion in FM’s PledgeMusic campaign. On 15 March 2013 FM began a UK tour in support of Rockville. Special Guests for the first four dates on the tour were Vega and Serpentine whilst It Bites and Vega were Special Guests for the second half of the tour. The tour was followed on 6 April 2013 by a set at the inaugural HRH AOR festival which was held at Rotherham’s Magna Science Adventure Centre on a bill which included Tesla, Danny Vaughn and past touring-mates Romeo’s Daughter. In June 2013 FM played at HiRock, a two-day festival held in Germany at Freilichtbühne Loreley and the Max Aicher Arena in Inzell. Other artists performing at HiRock included Toto, Rick Springfield, Whitesnake, Journey and Black Star Riders. Due to adverse weather conditions and extensive flooding in the surrounding area the second day of the festival at Inzell did not take place. On 27 July 2013 the band were Special Guests at Planet Rock’s Steelhouse Festival in Wales followed the next day by a headline show at The River Rooms in Stourbridge with Toby Jepson performing an acoustic set as Special Guest. During June and July 2013 the band’s single “Story Of My Life” from Rockville spent several weeks on the BBC Radio 2 playlist. In December Toby Jepson returned as Special Guest for FM’s final headline appearance of the year at a sold-out The Box in Crewe and the band ended the year with a set on the main stage at Planet Rock’s Planet Rockstock festival. Their single “Better Late Than Never” was added to the BBC Radio 2 playlist on 26 December 2013. 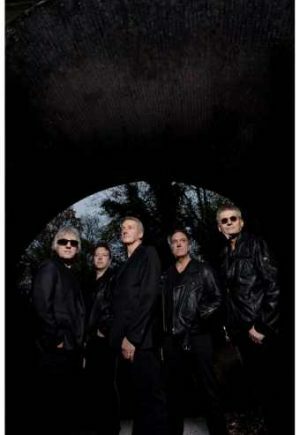 During 2014 – in addition to writing and recording for their next release – FM toured across the UK with Foreigner and Europe during March / April 2014, with further European dates alongside Foreigner and a series of headline shows in the Netherlands, Germany, Spain and Portugal taking them into May. To coincide with this tour FM released a new eleven-track EP entitled Futurama on 31 March 2014. Futurama includes four new studio tracks, six new live recordings and an extended mix. FM released their ninth studio album Heroes and Villains via Frontiers Records on 20 April 2015 (UK / Europe) and 21 April 2015 (USA) and embarked on a UK tour in May with Special Guests Romeo’s Daughter and No Hot Ashes. The track “Shape I’m In” from the new album was added to the BBC Radio 2 playlist from Saturday 4 April 2015. Festival appearances in 2015 included Nantwich Jazz, Frontiers Rock Festival in Italy (FM’s first-ever performance in Italy), Rock The Ring in Switzerland, Graspop Metal Meeting in Belgium, Netherlands festival Bospop, Team Rock’s inaugural Ramblin’ Man Fair in Maidstone, Steelhouse Festival in Wales and two festivals in Sweden at Skogsröjet in Rejmyre and Helgeåfestivalen in Knislinge. In November 2015 FM continued their European Tour with more UK dates followed by a co-headline run of shows in mainland Europe with Electric Boys. Their last show of the year was headlining Planet Rockstock, the band’s third appearance at the festival in three years. FM’s Heroes and Villains tour continues through 2016 with dates across the UK in January (Special Guests Romeo’s Daughter, The King Lot, Bernie Marsden and No Hot Ashes). Scheduled festival appearances include The Great British Rock & Blues Festival (22 January), Rockweekend AOR in Sweden (20 February), Nantwich Jazz, Blues & Music Festival (26 March) and Sweden’s Väsby Rock Festival (23 July). The band will also be Special Guests on Heart’s “She Devils” UK tour in the summer of 2016, performing at London’s Royal Albert Hall, Manchester O2 Apollo, Glasgow Royal Concert Hall and Birmingham Symphony Hall.